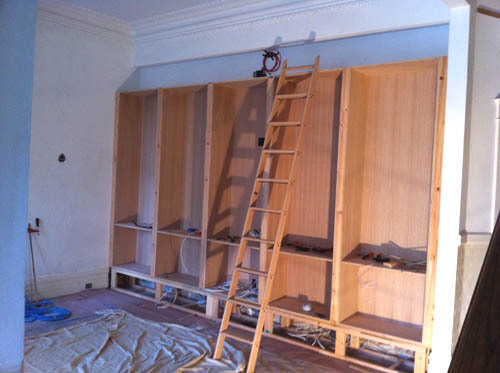 At the close of day three we have all the bookcases plum, level, and installed. Next up is all the finished trim for the face frames, base, and head piece. More photos to come as the day progresses but for now I need to get off the computer and back to work! For more photo’s visit the Victorian Library photo set on Flickr.